When is Columbus Day? : Let's Celebrate! 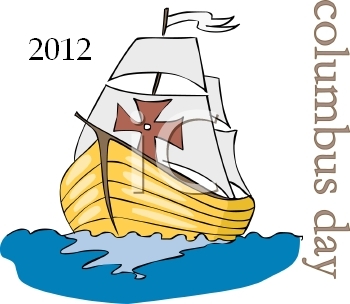 Columbus Day in 2012 is on Monday, the 8th of October. Columbus Day remembers Christopher Columbus' arrival to the Americas on October 12, 1492. This holiday is controversial because the European settlement in the Americas led to the demise of the history and culture of the indigenous people.